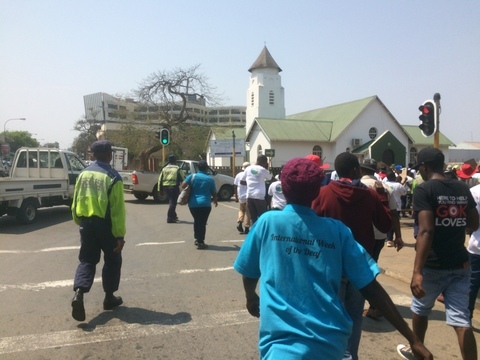 Approximately 500 people participated in a Deaf Awareness march through the streets of Manzini on Friday morning 28 September 2018. 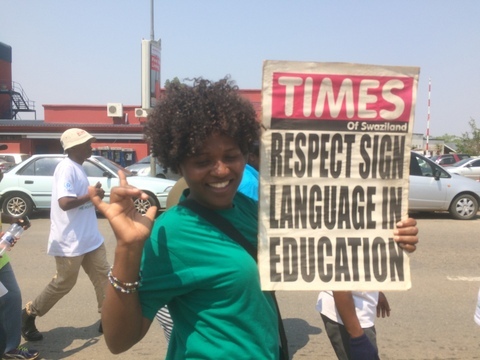 Carrying placards saying: “Respect my language”, “Respect Deaf children,” “Deaf not dumb” and “Respect sign language in Education” Deaf adults and children, escorted by the police walked through the Manzini central business district raising awareness. 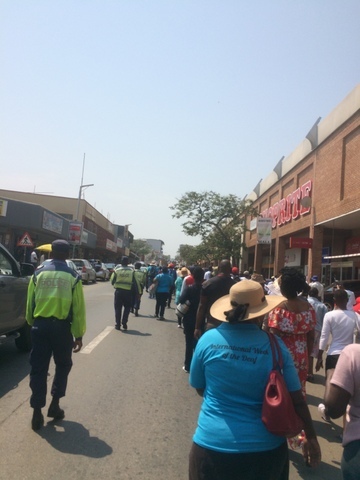 The march was organised as part of International Deaf Awareness week which runs this year from 24-30 September. People walking down the street and coming out of the shops at times gave a ‘thumbs-up’ as they indicated their support and encouragement to the Deaf people. This was warmly received by the Deaf people. 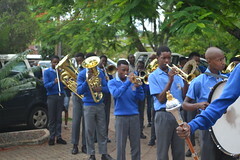 After returning to Millennium Park, the Deaf people were addressed by a Councillor of Manzini, representing the Mayor; and a representative from UNESCO. The talks of both speakers were interpreted. 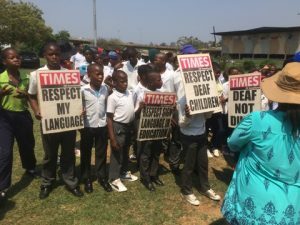 They thanked the Swaziland National Association of the Deaf (SNAD) for organising this Awareness march and said they felt challenged and challenged other hearing people to learn siSwati Sign Language so that Deaf people in Eswatini could have full access in society. 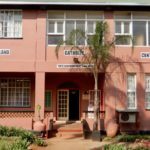 Congratulations to many of our Deaf Catholics who were well-represented as members of the organising committee and who acted as marshals for the march. Lunch was provided after the speeches, a generous donation from the Bangladeshi owners of a Pick n Pay shop in Manzini. Afterwards lunch the children from both the high and primary Deaf schools participated in sack races, egg and spoon races and other games.